It's that time of year again - the time when everyone comes together to try their luck on the horses. Families come together and huddle around the TV with betting slips clenched in hand, waiting to either be scrunched up and cast to the floor, or thrown into the air in enjoyment. Going one better than watching The Grand National live on telly, heading down to see the race live is an experience that has to be enjoyed at least once in a lifetime. Wearing a dapper suit or a posh frock is essential for a day at the races; we're here to help you pick out something for this year's event. The heritage look will be right at home amongst the trainers and jockeys. We're talking full-on tweed here - a jacket complete with elbow pads and even a matching waistcoat! Other options include chinos, a plain shirt and a blazer, if you're not too keen on looking like you've just graduated from Eton. Now, The Grand National may take place in April and English weather isn't to be trusted even in the height of summer; but what if the weather turns out to be, you know, sort of sunny? Stranger things have happened and if, somehow, the clouds do indeed part for a day, you might feel too warm in a full three-piece suit. Put away the jacket for a colder occasion and just go with the waistcoat, for example, or do away with the waistcoat and wear a blazer open for extra ventilation. You could just go for the trousers and shirt look too. We're talking about a Dad-style shirt tucked in trousers, the top button done up, all capped off with a pair of your finest shoes. That brings us nicely on to accessories; no suit is complete without the addition of the likes of cufflinks, a tie, bowtie or cravat, as well as some jewellery. Regarding neckwear, this is your chance to get creative. There are a host of options out there when it comes to ties, with almost every colour of the rainbow covered. However, a lot of men seem to shy away from jewellery. If you're not overly keen on, say, a ring or a bracelet, maybe a watch is worth a little consideration. A timepiece on your wrist can be a great way to complete an outfit, as it can team up with the colour scheme of your suit extremely well, whilst the right piece can also make a big statement by itself. 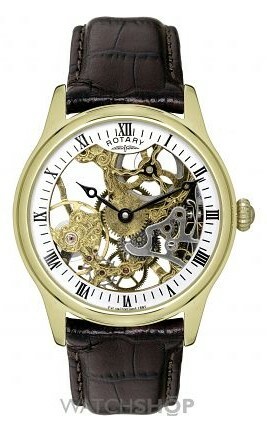 This Rotary model, for example, has a gorgeous gold and black colour scheme, which is complemented by the beautiful skeleton face, showcasing the inner workings of the piece. When it comes to Ladies' Day, it's time to go all out and have fun with your outfit! The basis of which will likely be a summery dress, so go the extra mile with the colour scheme and pick out something that says "I'm ready for summer"â¦ even if the thermometer hasn't reached the 30s just yet. If it does get a bit colder, then a jacket certainly wouldn't go amiss. Gloves can also be a fashionable yet warm addition to an outfit, as are tights. Even a scarf can bridge the gap between looking snazzy and staying snug. When accessorising, a belt can really compliment the colour scheme of an outfit, as can a lovely pair of heels. However, it won't be difficult to find a single lady attending Ladies' Day who wasn't focusing on headwear. Hats have become a staple of a day at the races in recent years, with the likes of fascinators at the forefront of race day fashion. Regarding jewellery; rings, necklaces and earrings are sure to make an appearance. But, if you're planning on going bare-armed, the addition of some wrist wear can really become the statement you need to fill the void! 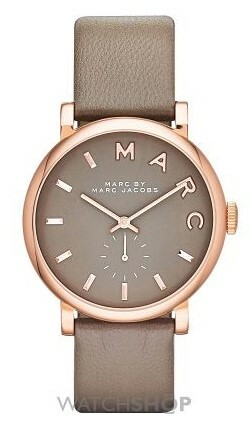 This Marc by Marc Jacobs piece should work with many an outfit quite nicely. Its subtle tones of rose and brown mean that it will match up with a host of colours, whilst still exuding more than a slice of class to draw attention to itself on your wrist. Deciding what to wear for the races doesn't have to be a challenge. 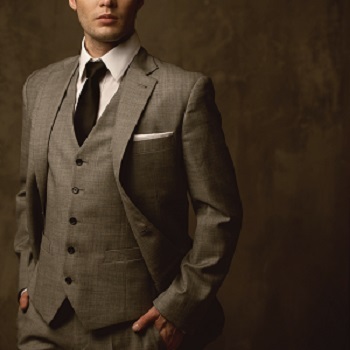 Just be sure to stick to the basics of a suit or a dress, then accessorise to your heart's content! Ladies' Day might be all about the hats, but the likes of cravats, necklaces and watches can be just as important when piecing together the items for a great outfit.